Welcome to Florida! 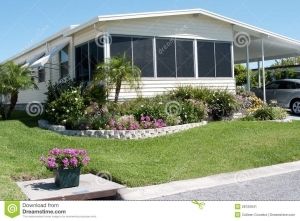 If you are reading this, you are thinking of buying a cooperative unit in a Florida resident-owned mobile home park. Our office offers closing services to persons wishing to buy or sell cooperative units. To ease the closing process, the following is information that will assist you in understanding what needs to be done to complete a transfer of a cooperative unit in a Florida resident-owned mobile home park. To transfer a mobile home cooperative unit, three pieces of property have to be transferred – the mobile home, the share or membership in the Cooperative Association and the real estate interest in the lot on which the mobile home sits. The transfer of title to the mobile home is done at the Department of Highway Safety and Motor Vehicles (“DHSMV”) in a manner similar to the transfer of a car title. The costs and legal fees for transfer depend on whether the mobile is a single-wide or a double-wide, whether the seller can find the original mobile home title(s), whether additional transfers are required and other factors determined by the DHSMV. Once the transfer is done, the DHSMV will issue a mobile home title or titles in your name to keep in your records. As an owner of a cooperative unit, you will own one share in the Cooperative Association. As a shareholder, you have a say in how the Association is run. For instance, you can run for the Board of Directors, you can vote at the annual meeting and you can vote to make changes to the park rules. The share transfer is either done by our office, the Association or the Association’s management company. Once the transfer is done, you will receive a Share Certificate or Membership Certificate. The third piece of property that must be transferred is the real estate. The mobile home sits on a parcel of land commonly referred to as the “lot.” In cooperatives, the unit owner has a real estate interest in the lot. This is usually a long-term leasehold interest. You do not own the lot outright, but your long-term leasehold interest gives you exclusive possession to the lot on which your mobile home sits. For instance, if your neighbor wanted to plant his garden on your lot right next to your mobile home he could not do so as you have exclusive possession to the lot. This interest is considered real property under Florida law and must be transferred at the Pinellas County Clerk’s Office in a manner similar to a deed. This is generally the most expensive item to transfer due to the amount of work required to complete the transfer and the fact that the State of Florida charges documentary stamps. First, prior to any sale of real property, Florida law requires that the buyer and seller put the terms of the sale in writing. This is called a Sales Agreement. This you can either prepare yourself, or hire a real estate agent or our office to prepare it for you. Second, at closing, buyer and seller will need to sign an Assignment of Lease for the lot. This is the document that transfers the real estate interest and must be recorded at the Clerk’s Office. Once the transfer is complete, you will receive a copy of the recorded Assignment of Lease for your records. By Jonathan James Damonte, Esq. and Erica Lynn Peterson, Esq. One of the most controversial topics in communities today is the issue of pets and assistance animals. Many associations have “no-pet” rules, meaning the community prohibits the members, residents, and their guests from bringing or keeping pets in their communities. Other associations have breed, size or weight restrictions on animals that are kept in their communities. “No-pet” rules have been around for decades, but the laws on this subject have changed a lot over the last twenty-seven years. In 1988, the Federal government passed the Americans with Disabilities Act (ADA), which among other things, greatly expanded the legal protections for persons with disabilities. While the ADA applies mainly to commercial property open to the public, portions of it apply to community associations through the Federal and Florida Fair Housing Acts. Like many laws, the ADA and the FHA have their own terms and definitions. It’s important to understand the key terms and the definitions of those terms. Americans with Disabilities Act (ADA) – The Federal Act which addresses those that provide goods and services to the public. Examples include restaurants and hotels. Fair Housing Act (FHA) – The Federal Act which applies the ADA to entities (such as associations) that provide housing to those with disabilities. Disability – Any physical or mental impairment that substantially limits an individual’s ability to perform one or more major life activity. Disability encompasses physical, mental and emotional health. Assistance Animal – A general category which includes both “Service Animals” and “Emotional Support” or “Therapy” animals. Service Animal – Specifically either a dog or miniature horse which has been trained to do work or perform tasks for an individual with a disability. The tasks performed by a service animal must be directly related to the person’s disability. 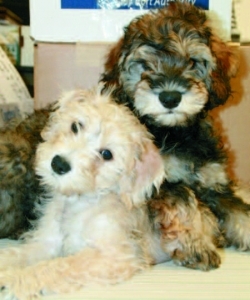 Seeing-eye dogs and hearing dogs fall in this category. Emotional Support Animal – An animal which is kept by a person with one or more disabilities, but which is not specially trained to perform any tasks for the disabled person. Reasonable Accommodation – A request by a disabled person for a change or revision of an association rule, or modification to an association building or facility in order to accommodate the individual’s disability. The most common types of accommodations that Associations make for residents include permitting the installation of wheelchair ramps, permitting the installation of pool lifts, and the like. Case Law – Court cases that further defines the rights of those with disabilities under both the ADA and the FHA. Local Ordinances – Local laws or statutes which may affect the association’s rights and responsibilities. The ADA states that each case turns upon its own facts, so there are no “bright line” simple tests for determining whether or not someone is disabled, whether or not a disabled person is entitled to a reasonable accommodation, or what accommodations should be made. In each and every case, the community association must work with the person requesting an accommodation to determine what accommodations should be made, if any. Adopt a “Pet Policy” – If your association does not currently have a pet policy, it is a good idea to adopt one. A good pet policy should outline the rules that will apply to all animals on the property, including animals brought by guests and should include separate guidelines for Service Animals and Emotional Support animals. Associations may require all animals be vaccinated and licensed pursuant to State law and local ordinances, so it is a good idea to include these requirements in a pet rule. Associations may require animal owners to pick up after their animals. Associations may require that all animals be kept under control by their owner at all times, which would include requiring that they be on a leash or lead. Some associations now require DNA testing of all animals in the community so that animal waste can be identified and the owner warned or fined for any violations. Forms for Documentation – Associations should have assistance request materials available for community association managers, officers and directors’ use in responding to requests for accommodation, including applications, verification forms, and written forms of approval or denial. The government has strict guidelines about what may be said to and asked of a person requesting accommodation. If the person who is requesting accommodation has an obvious disability, then it is not appropriate to ask the person what their disability is or demand verification of disability from a health care provider. For example, if a person requesting accommodation is obviously blind, or is missing limbs, it is not appropriate to ask that person what their disability is or to require the person to get written verification from his or her doctor. However, if permission is being requested to keep a Service Animal, and the need for the animal is not obvious, then two questions may be asked: 1 – Is this animal needed to assist you in the handling of a particular task? 2 – What is that task? When a person’s disability is not obvious, then it is appropriate to request written documentation of disability from a health care provider. This is permissible whether the animal requested is a Service Animal or an Emotional Support Animal. This requirement can be satisfied by a written letter, prescription, or other writing stating that: (i) the person requesting the accommodation is being treated by the medical health professional, and (ii) the animal is required to assist with one or more tasks and/or alleviate one of more symptoms of their disease. Recently the government has taken the position that verification letters may be provided by someone other than a medical professional as long as the individual who writes it has knowledge of the person’s disability. The author of the document must know the disabled person and must be familiar with their disability or diagnosis in order to attest to their need for the accommodation. Because of this change, please consult your association attorney before proceeding in these cases. WHAT KIND OF ANIMALS MAY BE ASSISTANCE ANIMALS? The ADA says that only dogs or miniature horses may be trained Service Animals, but there are no restrictions on what kinds of animals may be Emotional Support Animals. In one famous case from Largo, Pinellas County, Florida, that made the national news, a disabled veteran with PTSD was allowed to keep a Vietnamese pot-bellied pig in his house and yard (next door to the president of the association) as an Emotional Support Animal. In another recent case, the Federal Court in Miami invalidated a Miami ordinance banning pit bulls when a disabled veteran with PTSD had adopted a stray pit bull that he found in the streets and emotionally “bonded” with it. WHAT KIND OF ANIMALS MAY BE DENIED? An animal that poses an actual threat to others in the community may be denied. For example, a dog with a history of biting others may be denied. In one reported case, a large dog attacked and killed a much smaller dog. The association was able to force the owner to remove the big dog from the community due to its violent behavior. Some associations are tempted to throw up their hands and either take all requests for accommodation at face value and grant them all, or stop enforcing their “no-pet” rules altogether, but a lot can be gained by negotiating with the person requesting accommodation. The key word is “reasonable.” Associations are required to consider requests for accommodation and negotiate the terms of an accommodation in good faith. Communities are not required to accede to unreasonable requests. Communities have the right to require reasonable terms and conditions for an accommodation, such as requiring that animals meet local government requirements for licensing and vaccination, requiring that animals be kept under control, that they not make a lot noise and disturb other residents, and that their owners care for them properly and clean up after them. Negotiating with a person requesting an accommodation also gives the association an opportunity to establish the terms of the relationship between the association and the requestor, and hopefully, get the relationship off to a good start. The Florida Condominium Act, the Florida Cooperative Act, and the Florida Homeowners Act all provide that medical records are not records of an association that are available for inspection and copying. Private health information received from a prospective or current resident should not be made available for inspection by members and should be kept in a secure location separate from those association records that are available for inspection. Community association managers, and association officers and directors should keep any medical information they receive from a reasonable accommodation request confidential. Consider requesting that the matter be referred to mediation. Some Florida counties have local human rights offices that begin investigations with a request for mediation. The Pinellas County Office of Human Rights in Clearwater administers the FHA complaints for Pinellas County and is staffed with mediators who can help resolve a complaint under the FHA. Mediation is a much less expensive proceeding than litigation and can be a good way to save the association money in the long-run. If mediation or a conference is requested by the government agency handling the complaint, DO IT. Many complaints are resolved at mediation resulting in lower costs to the association. The penalties for failing to grant a request for reasonable accommodation under the ADA can be severe and very expensive. A disabled person may be entitled to damages for any harm caused by an association’s refusal to grant a request for accommodation. The disabled person may also be entitled to attorney’s fees. The ADA specifically states that if the disabled person wins his or her case, he or she is entitled to attorneys’ fees, but if the housing provider or association wins, it is not entitled to attorney’s fees. Before litigation, the disabled person’s attorney’s fees can be thousands of dollars. If a case goes to court, the disabled person’s attorney’s fees can be $100,000 or more. Even worse, the government can impose fines on top of damages and attorney’s fees. Fines in the $10,000 to $100,000 range are common. Attorney’s fees that are awarded to disables persons’ lawyers commonly run from $25,000 to $100,000. It is vital for the association professional to make proper decisions regarding these matters and making the correct decision can be crucial to an association’s financial health. Association professionals should educate their boards of directors, officers and residents as to what animals can be prohibited from the property and under what circumstances. Most of you already know that there is a growing industry out there where residents can go to “register” their pet as a Service Animal and/or Emotional Support Animal. Do not be fooled by the imitators. These businesses have no authority to approve an animal as a Service Animal or an Emotional Support Animal, so make sure to ask for the proper documentation of the need for the accommodation by following these important guidelines.